You want a backpack to house your laptop. But the sheer number of options simply leaves you frustrated. Sounds familiar? Fret not. You’re not alone. 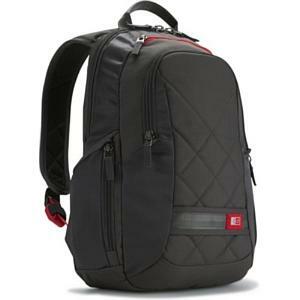 There are a lot of factors that go into finding the best laptop backpack. 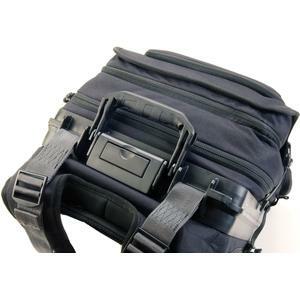 Among the chief considerations are your laptop size and how well the backpack is designed to keep your laptop secure. That’s not all. Unless you’re fortunate enough to be carrying the ‘weightless’ Macbook Air, weight is a big issue. A backpack well-designed for laptop users have to light, comfortable and yet does not compromise on things like laptop protection. With so many considerations and so many models to choose from, where do you start? 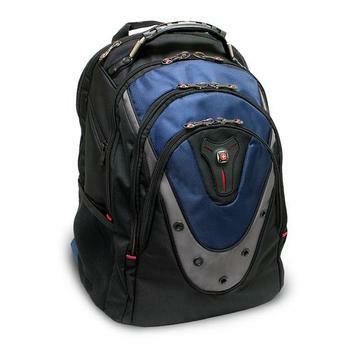 The Pelican U100 Black Elite storage backpack is widely regarded as among the best by the geeks. 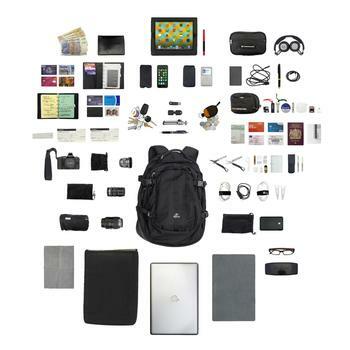 But what makes it good enough to be compared to the likes of Targus Drifter II and SwissGear Scan Smart? Read on and you’ll soon find out. 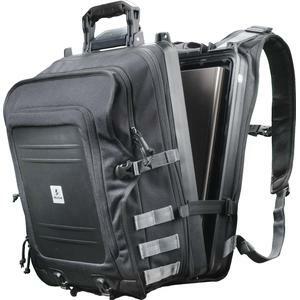 The Pelican U100 Black Elite Storage Backpack for a laptop fits notebooks that feature up to a 17-inch screen. Since most laptops have between 15 and 17 inches, there is a good chance that this one will accommodate your computer. The case is also watertight and crushproof, making it possible to take it out in the rain as well as in large crowds without having to worry about the integrity of the computer. You can bring various things along with you besides the backpack. This includes a front compartment that will hold an iPad or tablet, which is impact protected. 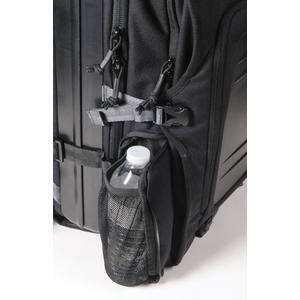 The bottom expands for sling storage and there is a concealed pocket designed to hold a water bottle. 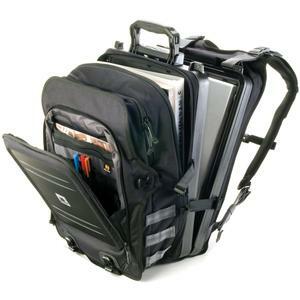 The size of the laptop is a primary consideration when choosing the best backpack. Various backpack reviews can be used to determine which one is going to fit your needs. You will want to read the various reviews to see what people have to say and what concerns are addressed within them. As they pertain to the Pelican U100, many people are happy with the backpack and how it distributes the weight. The backpack provides comfort for a significant amount of time. If you plan on going hiking or taking a trip with the computer, you won¿t have to worry about trying to ditch the backpack. There is an S-curve that is ergonomically designed to provide comfort along the back. There are also load-compression straps to help ensure that the weight doesn¿t dig into your shoulders. Whether a laptop is on your back or you are carrying it by hand, you need it to be comfortable. The Pelican U100 has a rubber over-molded handle to make it easy to carry ¿ and this is another feature that other backpacks simply don¿t offer. If you are taking your laptop on a plane, there are some convenience features that you want to be aware of with the Pelican U100. The first is that there is a TSA top-loader access for the laptop. There is also an easy open latch that pushes open along with a pressure EQ valve, which prevents a pressure lock. If you find yourself getting on the plane often, I know what a frustrating experience it is to go through the long lines just to get through the TSA checkpoints. It seems minor but when you already have to take off your shoes, belts and etc, taking out your laptop can really add to the frustration. If you think this is an important feature to have, you may want to consider Samsonite Xenon 2. 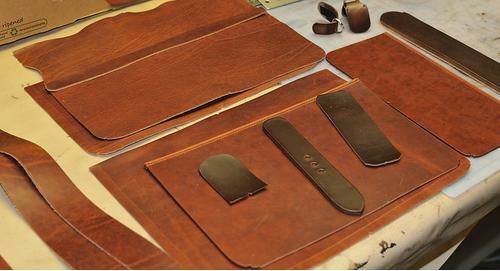 The butterfly-style pocket is deemed by many to be the best answer to traveler’s TSA-checkpoint nightmare. Regardless of what you expose your laptop backpack to, it should be able to withstand the conditions. You never know what you¿re going to be up against and therefore you need to look at various features that offer protection. The Pelican U100 backpack is IP67 tested for getting wet. It¿s a watertight case that can also withstand being under 3 feet of water for 30 minutes. If it were to drop into the ocean or pool, it likely wouldn¿t ruin your laptop ¿ and this is an important consideration when selecting a laptop bag because the whole reason for a bag is to offer protection. 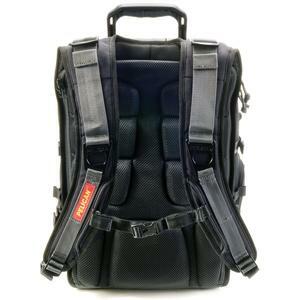 If water-resistance is important to you, you may also want to consider 5.11 Covrt 18 tactical backpack. There are a few concerns addressed within the reviews. If you own the smaller 11-inch Macbook air, you’d have wished there is a smaller version option available. Smaller laptops will need to use foam inserts within the backpack to prevent it from rattling around. This accessory is sold separately by Pelican and getting one should be easy. But still, there is the added expense that you have to consider as part of your investment. While not exactly on the same class, you may want to consider Case Logic DBLP backpack series if you have a small laptop. The backpack itself is also close to 9 pounds, which can add significant weight on your back, especially when it has your laptop inside of it. Is Pelican U100 the Best Laptop Backpack? You’ve now seen why Pelican U100 Elite has earned endorsements by many of the geeks. There are not many backpacks that will keep your laptop alive should you accidentally drop it into the pool. And this backpack is one of them. Does it make the best laptop backpack? It certainly is but not everyone will find it perfect for their needs. Particularly true if you own a 11-inch Macbook Air. The base weight alone is multiple times heavier than your Macbook Air. But for most people who needs the best protection for their laptop and doesn’t mind the weight, you know you have a winner in Pelican U100 Elite backpack.